Some dogs have trouble gaining weight due to health problems. For these dogs, only a veterinarian-approved diet for that dog should be considered. However, if your dog is healthy, there are some foods that can help with weight gain. Dogs who need to gain weight should be fed dog food that contains real meat and is a premium dog food. The first five ingredients should list chicken, beef, venison, lamb or turkey without the words “meal” or “byproducts” after the meat name. Brown rice, millet and whole-wheat pasta are good sources of carbohydrates for a dog’s diet. However, when trying to get your dog to gain weight, these items should account for no more than 20 percent of its total diet. Chicken, eggs, rabbit, fish, beef and tripe are good sources of protein that are easily digested by dogs. 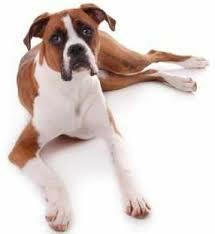 If you opt to feed your dog chicken, make sure that you take the bones out before mixing it with the other food. Canned dog food, when coupled with dry kibble, can help a dog to gain weight. Canned food usually contains more meat and water than dry kibble. It’s also easier for your dog to digest which is necessary for weight gain. Peas, zucchini and green beans are ideal vegetables to serve to your dog. Onions, garlic, broccoli and cauliflower should be avoided, since these can negatively affect the dog’s health and are common allergens. Thanks to e how for providing this information. Always check with your vet when it comes to your dogs overall health. You must first get to the bottom as to why your dog doesn’t gain weight before changing his diet. Don’t try to do this on your own. Your station for the best variety of oldies is EDGEWATER GOLD RADIO! We’ve been writing our pet blog for over 10 years and running our internet oldies station for 17 years. If you love oldies from the 50s 60s 70s and 80s the give us a listen! Ask Alexa to “play Edgewater Gold Radio.” Listen from our website: Edgewater Gold Radio. Com. This entry was posted on Monday, February 18th, 2019 at 9:57 am	and is filed under Pet Supplies. You can follow any responses to this entry through the RSS 2.0 feed. Both comments and pings are currently closed.